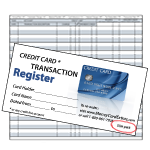 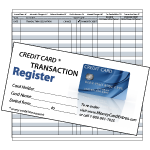 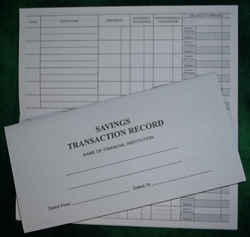 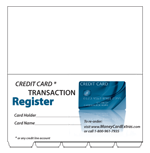 This is a register for your savings account transactions. 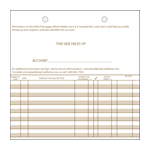 It has the standard features: columns for Date, Notations(description, comments, etc. 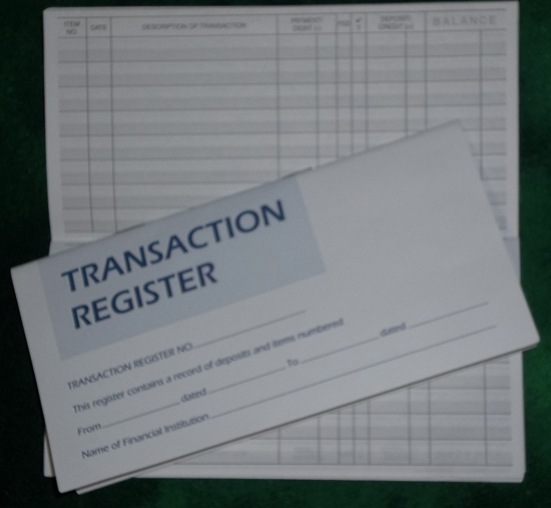 ), Deposits, a separate column for Interest/Dividends, Withdrawals/Transfers, and a column for updating the account Balance where there is a line to reenter the transaction amount in order to facilitate calculating the new balance, either manually or with the help of a calculator. 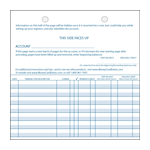 The register provides 71 entries and a page for Notes.